There's not much better than relaxing all day on the couch or bed enjoying some Pokemon: Let's Go. It's a great palette cleanser and a great game to unwind with. It's so good in fact, that even Ariana Grande plays it when she gets a day off. Earlier today, the Florida-born singer, songwriter, and actress was interacting with fans on Twitter, when she revealed that yesterday during a day off, she enjoyed some Pokemon: Let's Go for about every hour she was probably awake. As you can see, not only is Grande apparently a big fan of Pokemon: Let's Go, but interestingly she decided to get the Eevee version of the game rather than the Pikachu version, seemingly suggesting that she likes Eevee more than Pikachu. When asked what her favorite Pokemon was, she didn't reply, but it seems like it could be Eeeve, who's a favorite of many for not only how adorable it is, but for its many evolutions. If you're a fan of Ariana Grande, you'll know that she's a big Pokemon fan, and got really into Pokemon Go when it released. another day another slay ? If you're a fan you will also know that she enjoys anime just as much. Back in September the singer got and shared a new tattoo of the heroine from Spirited Away. At the time, Grande revealed she got the tattoo not just because of her love for the Studio Ghibli propety, but to celebrate her personal growth. Of course, now I'm wondering if an Eevee tattoo is next. I'm not much of a tattoo person myself, but an Eevee (or Diglett) tattoo is something I could get down with. Anyway, as always feel free to leave a comment or hit me up on Twitter at @Tyler_Fischer_ to talk all things Pokemon and Diglett tattoos. 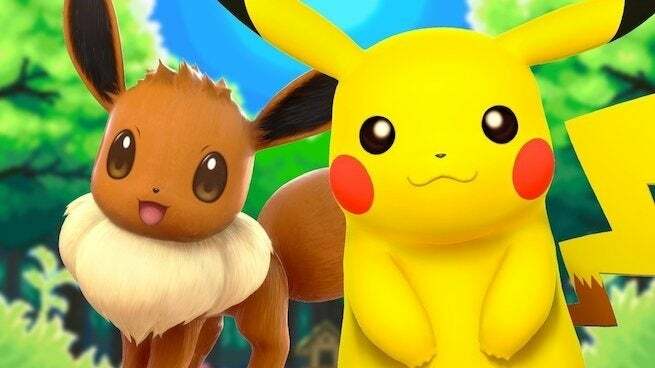 Who do you think is better: Pikachu or Eevee?